The clock is ticking. Come Dec. 17, the paper logbooks that truck drivers have been required to use to track their hours of work and rest since the 1930s will be history for interstate trucking operations, used only for emergency backup in case of a malfunction of new, mandatory electronic logging devices. The ELD mandate was ranked the number-one issue facing the industry in the American Transportation Research Institute’s Annual Survey for 2016, a jump of five places from 2015. The Federal Motor Carrier Safety Administration announced the final ELD rule in December 2015. 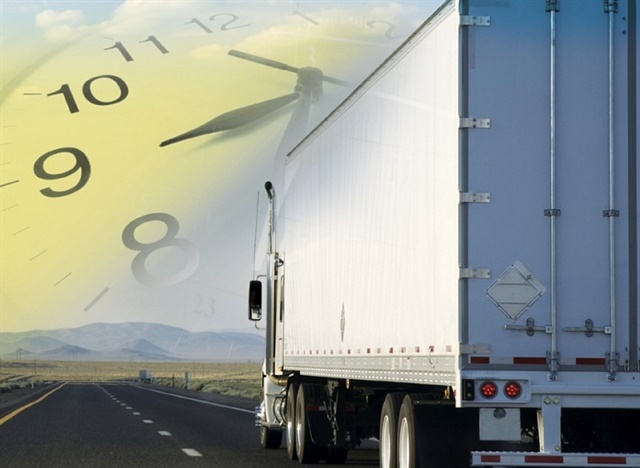 It requires electronic logging devices for all trucks model-year 2000 or newer engaged in interstate commerce. Suppliers of ELDs must conform to technical specifications, certify their ELDs, and register them with FMCSA. 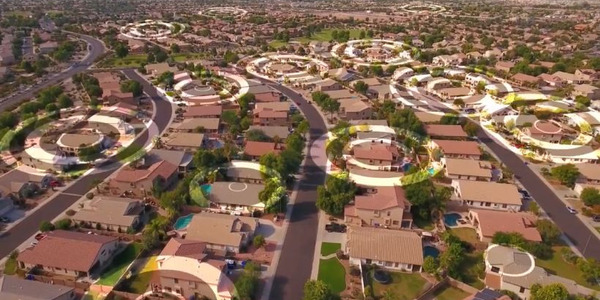 “You can definitely see the wave of ELD adoption moving forward,” says David Heller, vice president of government affairs at the Truckload Carriers Association. However, the most common mistake fleets make when adopting ELDs is trying to do it too quickly, says Tom Bray, senior editor with safety and compliance product/service provider J.J. Keller. 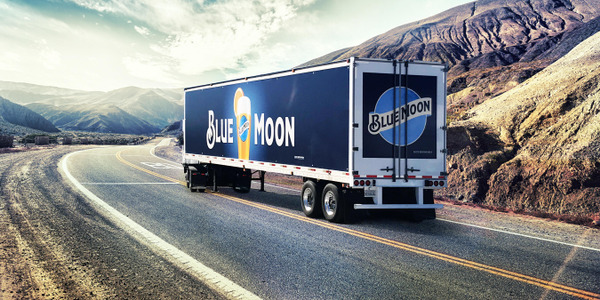 “It takes time to select a good system that is a match for your fleet, develop the compliance culture necessary to operate in the electronic logging universe, train everyone in how to use the system, and roll it out in an orderly fashion,” says Bray. That’s why he and others are urging fleets who have not already started the process of adopting ELDs to get moving. The first step fleets need to take to be ready for ELD compliance? “Accept that change is good and that keeping paper logs has become unmanageable, inaccurate and inefficient,” says Tom Kwan, spokesman for ELD provider FleetComplete. With that in mind, we’ve talked to compliance experts, fleets, ELD providers and others to bring you these 13 things you should be aware of as you prepare for the December ELD deadline. 1. It is highly unlikely that the rule will be set aside or postponed anymore. The rule has already survived a number of legal challenges, and it’s unlikely the latest legal challenge to the rule brought by the Owner-Operator Independent Drivers Association will succeed. In October, a three-judge panel ruled against OOIDA in its lawsuit against FMCSA, which claimed the rule violated truck drivers’ Fourth Amendment rights of privacy. OOIDA’s latest petition calls for a full court to hear the case. 2. The “grandfather” provision may not be as much of a reprieve as you think. The regulatory standard for the optional electronic logs currently in use is for automatic on-board recording devices (AOBRDs). If you are using these, you can continue to use them for two years after the deadline. So if you’re currently running e-logs meeting AOBRD standards, you do have some breathing room, but only until you expand your fleet. 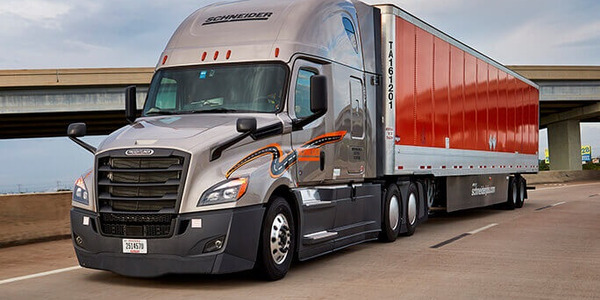 “If you’re going to ride both sides of the fence of AOBRD and ELD, depending on how the vendor implements the solution, it will be challenging, on the back end and for the driver,” says Eric Witty, vice president of product for PeopleNet. Not only are some of the rules for ELDs slightly different, but the mandate also creates different workflows involving editing (see below). Fleets currently on AOBRDs, Witty says, may want to do a terminal-by-terminal or site-by-site ELD adoption once they reach a certain number of trucks with ELDs. The good news is that for many modern AOBRD devices, switching them to ELDs will simply require a software upgrade. In many cases that won’t even be an extra charge. 3. Drivers will have more control over editing. One big change in the ELD rules is that in order to address concerns and legal challenges about electronic logs being used to harass drivers, drivers have more control and responsibility over edits. It’s a critical change that many fleets may not be aware of, says Pete Allen, executive vice president of sales for MiX Telematics. A specific technical requirement in the ELD rule requires that the device prompt the driver when he logs in to the system to indicate whether or not he is responsible for unassigned mileage in the system, as well as accepting or rejecting any edits made by the home office. At regional intermodal carrier BarOle Trucking, a bring-your-own-device ELD system backed by a longtime industry brand made sense for its fleet of 74 trucks. 4. Unassigned vehicle moves need to be accounted for. Unassigned mileage or unassigned vehicle moves is another key difference in ELDs. If a technician needs to take the truck out for a road test or someone needs to move the truck around the yard, say to take it to the fuel dock, that driving time will be recorded in the ELD and needs to be assigned to a driver. If it isn’t, the next time a regular driver logs in to the ELD, he or she will be asked if those are his or her hours. If those hours are rejected, the carrier has to reconcile them. Cuthbertson says carriers can define categories of exempt drivers, which allows those technicians or other people moving the truck around the yard to log in as an exempt driver, and that way the driver and the back office won’t be burdened with reconciling those hours. And make sure you’re reviewing and reconciling those, he says; otherwise it could show up in a DOT audit. “Examine your operation and see where you’re moving vehicles now, and make two, three or four exempt categories,” he recommends. 5. The transition will probably take longer than you think. 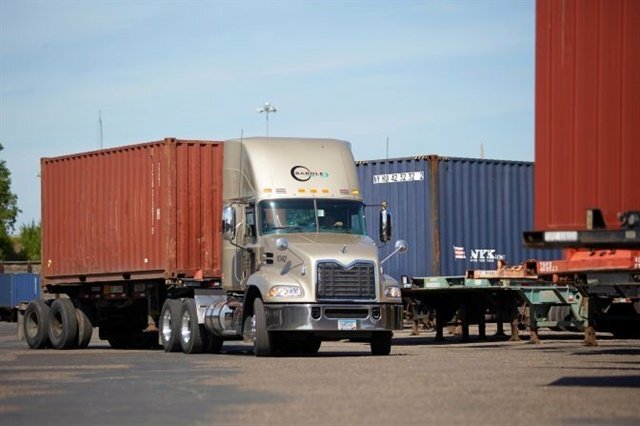 “It usually takes longer to transition fleets to electronic logs than you would anticipate,” says John Diez, president of dedicated transportation solutions at Ryder System. It’s going to take some time to research and choose a provider. Then it may take several weeks to actually get the equipment in hand, and more time to install and configure it on all your trucks. And don’t forget about training drivers, dispatchers and back office staff. “It takes a lot longer to implement than you think it’s going to,” especially the driver training, says Karol Smith, director of safety and compliance at BarOle Trucking, a regional intermodal hauler with 74 trucks operating in six states and based in St. Paul, Minnesota, which implemented ELDs late last year. 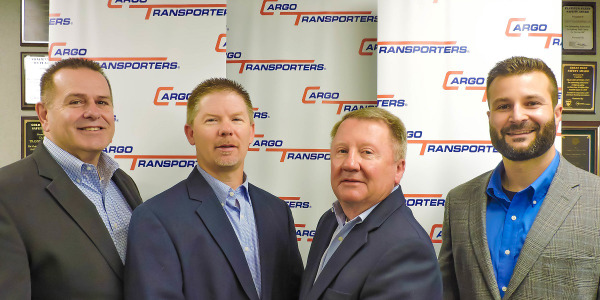 At US1 Logistics, a 600-plus-truck agent-based intermodal fleet that is about halfway through its implementation of PeopleNet e-logs, Safety Manager Dan Patterson says if there was one thing he would go back and do differently, it would be to have “started a little sooner.” It took time to get the buy-in from some of the company’s agents and drivers, he notes. In addition, before you even begin making the transition, it’s a good idea to first get everyone, both drivers and supervisors, operating as close to 100% legal as possible on paper logs, recommends Keller’s Bray. “This will prepare the drivers for the level of compliance that the systems bring, as well as provide a period for operational adjustments.” The more fleets and drivers “fudge” on paper logs, the harder it will be to adopt to electronic ones. 6. The FMCSA does not verify ELD compliance or performance. One of the most important things to keep in mind as you choose an ELD provider and system is that the agency does not verify that the devices are compliant. Last September, FMCSA issued an “important note” saying that “prior to purchasing an ELD, carriers and drivers should confirm that the device is certified and registered with FMCSA and listed at this website: https://3pdp.fmcsa.dot.gov/ELD/ELDList.aspx. But in reality, there’s no guarantee that the ones on the list are actually compliant. ELD Certification: What Does it Really Mean? There is a predefined list of documents ELD providers must submit to register, such as a user’s manual, an image of the product, a driver user card, instructions on transfer to law enforcement, malfunction and diagnostics, serial numbers, etc. 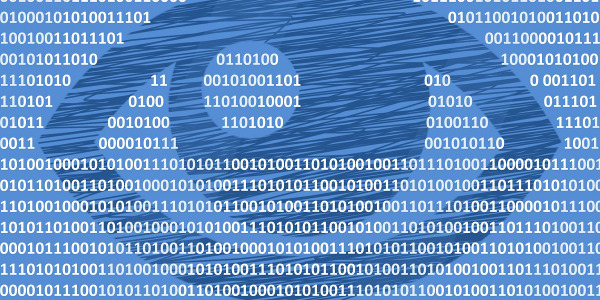 Many of the major providers of current electronic logs are not yet on the list. Most tell us they are still testing in order to feel fully confident in their ELD products before registering. Some providers are turning to independent third-party companies that are performing the verification tests, such as PIT Group and TransSafe Consulting. 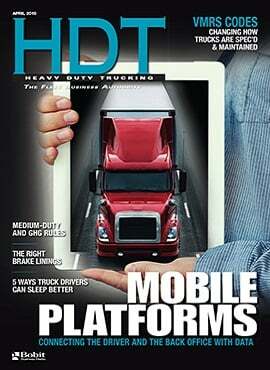 In short, do your homework; don’t just pick a device off the FMCSA’s list. 7. Choosing the right provider is key. With the FMCSA taking a “buyer beware” approach to the self-certification of ELD compliance, making sure you have a compliant device is one of many reasons to choose your ELD provider carefully. Norm Ellis, president of ELD provider ERoad, says with so many new companies coming into the market, “fleets need to make sure their vendor is stable and has the financial wherewithal to be their provider for several years in the future. Someone that has two people in a garage with a cell phone app, are they really going to be here to support me a week, a month, a year later? It’s extremely important to ask questions about the ELD manufacturer, says Continental’s Cappelle. How long has the company been in business? How long has it been making electronic logs? How many devices from the manufacturer are in use? Fleets should not only make sure that the products are currently compliant, but that vendors have the ability to stay informed and update their devices in the event of regulatory changes, says Ravi Kodavarti, director of product management for Rand McNally. 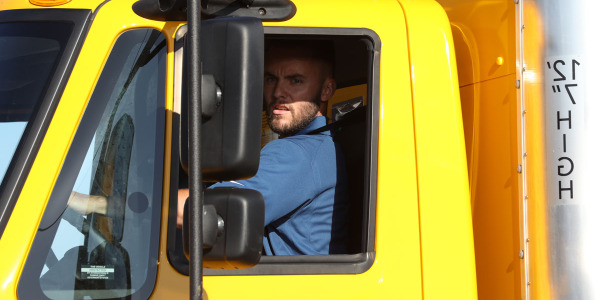 If your fleet runs on hours regulations outside the typical over-the-road scenario, such as oil field operations or with a split sleeper berth exemption, you need to make sure the provider you choose understands those operations. And BarOle’s Smith recommends paying attention to the customer service levels of the providers you’re considering, especially being able to get in touch with someone in an urgent situation. “I don’t want to get a voice message system and I don’t want a 24-hour delay in responses,” she says. 8. Some systems offer much more than electronic logs. If all you want is a device to comply with the ELD regulation, there are low-cost devices available that will do just that, and nothing else. But many systems offer other benefits for your fleet. IFTA reporting and electronic driver vehicle inspection reports are two of the most oft-cited additional features that go hand in hand with e-logs. E-DVIRs “give you a validation against your logs that you’re actually doing your inspections,” says PeopleNet’s Witty. From there, you can move into dispatching, messaging, workflow applications and more. In fact, the variety of additional functions available can be overwhelming. If you’re interested in some of these features but feel like it might be a bit overwhelming to deal with those and ELD implementation at the same time, talk to potential providers about how easy it is to start off with a more basic system and add modules later. 9. You need to choose the device that’s right for your fleet. Beyond making sure it’s compliant, is from a provider you trust, and deciding what features you want beyond electronic logs, there are other questions to consider when choosing the device to use. How the ELD integrates with your back office systems is just as important as, if not more important than, what the driver uses in the cab. Roehl Transport has been 100% on electronic logs since 2012 and in 2015 completed a fleet-wide upgrade to the DriverTech DT4000 for its 1,900 tractors. John Paape, vice president of information technology, recommends you “have a clear understanding of what your solution goals are today and what you feel they may in the future.” Some of the things he recommends considering are pros and cons of device mobility; the ability to support third-party applications such as navigation and safety; ensuring the device has the ability to support your integration needs (such as a camera system); and understanding the data cost model as you expand your use of the device. 10. Phone/tablet based systems offer pros and cons. At BarOle Trucking, a system that could work on the same devices it uses for other mobile apps made the most sense, explains Smith. 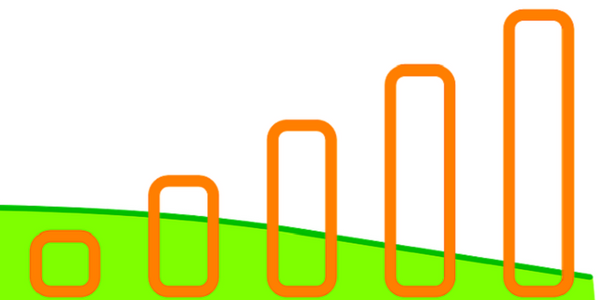 “We use mobile apps and state-of-the art dispatching. Customers are getting real-time updates. We use signature capture when receiving loads, an email and picture goes back to the consignee immediately.” The company also uses Drivewyze scale bypass on its devices. So the XRS platform from Omnitracs made sense for them. US1 Logistics initially started with Rand McNally hardwired TND 760 devices, but has moved to the HD 100. “It’s tablet-based, so we can put some apps on there that will help our drivers take pictures of bills of lading and shoot them in a PDF right to our agents,” Patterson explains. However, Integrated Risk Solutions’ Seidl cautions that there are some things to keep in mind before deciding on such a system. Cell phones and consumer-grade tablets, he says, are not as durable as most purpose-built ELD or in-cab computer systems. Some systems require a subscription to the ELD service on top of your regular data plan for the device. How often will you have to buy new batteries and chargers? What happens to your ELD compliance if the battery’s dead, or the driver leaves it on the table at a truckstop? 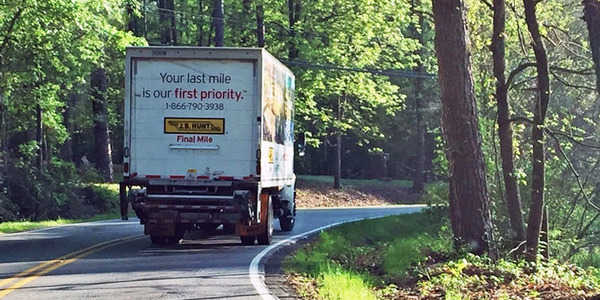 Do you have measures in place to prevent the use of that device while the truck is moving? 11. Fleets should develop policies and procedures. Before you actually put ELDs in the trucks, recommends Keller’s Bray, take time to develop the company’s policies related to electronic logs. What are you going to require of your drivers, based on the options available? How are you going to audit for false entries or missing information? Who is going to deal with unassigned driving time? Who is going to audit edits? What are you going to do with the first driver caught falsifying (either deliberately not logging in or making an edit that leads to a false record) or tampering (such as breaking a device or using someone else’s log in)? Who is going to counsel, correct, and discipline the drivers if there are problems? 12. Drivers may be both harder and easier than you think. 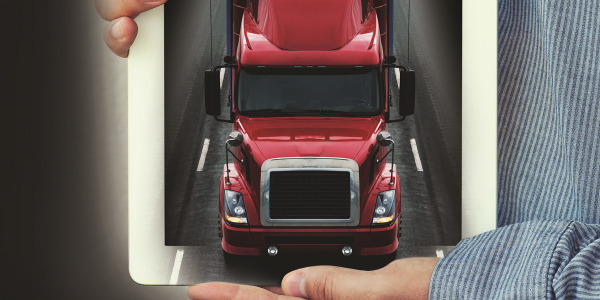 It takes time to train your drivers on ELDs, especially if they’ve only used paper logbooks. However, there is a learning curve before drivers get to that point. “The key is to train the drivers on the system as the system is coming on line so there is not a long lag time between the training and the driver actually starting to use it,” recommends Keller’s Bray. The training needs to include normal use, special use, requesting/making edits, common problems (and solutions), what to do if the device fails, and setting the device up for roadside inspection. The training should involve live training using an actual device. Moore implemented the electronic logs with groups of 10 drivers at a time, running concurrent paper logs and e-logs during the transition period. Some dragged their feet but soon asked if they could quit running paper logs and move entirely to electronic. 13. There will be some changes in roadside enforcement. ELDs must support one of two options for electronic data transfer of the hours of service information from the ELD to enforcement officials. The first option is a “telematics” transfer type ELD. At a minimum, it must electronically transfer data to an authorized safety official on demand via wireless Web services and email. The second option is a “local” transfer type ELD. At a minimum, it must electronically transfer data to an authorized safety official on demand via USB2.0 and Bluetooth. In addition, a driver must be able to give the officer either a printout of the logs, or be able to hand the officer the ELD display. However, it’s unknown when or how many enforcement officials will be using the electronic transfer functions, especially at first. And what if the ELD quits working? Under the current optional AOBRD rules, a driver can go back to paper logs for as long as it takes to get it repaired or replaced. But if an ELD breaks, the driver has only eight days to repair or replace it. 14. You may need to make adjustments to avoid a productivity hit. Carriers we spoke with, however, say once drivers get through the initial adjustment, they can actually become more productive on e-logs. One problem some fleets will have is shippers who are used to fleets fudging on logs and pushing drivers to exceed hours of service to meet customer demands. CORRECTION: The original print version of this article incorrectly cited 13 points when there are actually 14.